I am not sure whether it is the current IPL fever or the fact that I had been picking up really boring non-fiction books to read or just the plain heat of Hyderabad summer that made me take up “The Men Within” for my night-time reading. 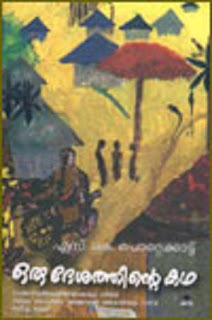 I had received a copy, autographed by the author, Harimohan Paruvu who is now a friend and mentor. Although I had the book at home, I did not start reading it right away. Perhaps it was the tagline – “a cricketing tale”. I am not particularly a cricket buff (or any other sport for that matter) but had enjoyed Hari’s second novel “If you love someone…” I had also fortunately attended his workshop “The Champion’s Mindset” which is derived from this book. I was not expecting much but I was completely taken by surprise. 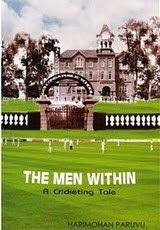 “The Men Within” unlike the name suggests is not about manly obsessions (other than the obvious one with cricket). It is the story of a school cricket team and how it finds its way to the prestigious interschool championship finals. Through the interactions between memorable characters like the trusting coach, supportive teachers, and a visionary Principal, we see the emergence of champions in the group of young boys hailing from different walks of life, classes of society and religious affiliations. The coach is the influential catalyst who channels the diffuse energies of the assorted group towards the pursuit of a common goal, in his typical understated manner. The transformation of boys into men when the situation demands brings about far greater change in their life and that of the greater community to which they belong. While it is a classic underdog story, it is told with great skill. I eagerly turned the pages of each chapter, curious about what happens next. Hari gives us glimpses into the winning formula that is the secret of champions through a simple story. I particularly liked the way the team, once united, learns lessons from all whom they come across, whether it is the driver of the school bus, or the loyal groundsman, Jani Miya and apply it diligently to improve their performance. I whole-heartedly recommend this book, to students, boys and girls, men and women, who may or may not be interested in cricket but would like to read a feel good book. I am sure it will work wonders when communicating important lessons about teamwork, striving for excellence, planning and implementing strategies for success, whether it is to corporate employees or sullen teenagers in your home. “The Men Within” is not just an easy read but an unforgettable one.